The gundog breeds are some of the most popular pets in the world. Yet the vast majority of gundogs are never worked in the shooting field. And most of those that do work on shoots up and down the country, also live in our homes, as members of our families. The suitability of gundogs as pets is partly linked to the specialist roles that they were bred to play. The dogs that work in closest co-operation with man tend not unnaturally to be the most co-operative in nature. This is partly why retrievers are such popular and successful companion dogs. But life with a gundog, of any breed, is not always plain sailing. Despite being highly co-operative in nature and keen to please, many families do experience problems with their pet gun dogs. [wp_ad_camp_1]This is due in large part, to their powerful hunting instincts. It is especially true of the more independent breeds, and particularly with dogs bred from working lines. Whilst more co-operative than many non-gundog breeds, spaniels are often harder for a novice gundog owner to train than a retriever. And may be less restful as companions, both out walking and at home. If you are thinking about bringing a gundog into your family, you need to be aware of the division that has arisen between working lines of our gun dog breeds, and lines that have been bred for generations as show dogs or pets. Working strain gun dogs can be more of a problem in pet homes, than their show bred cousins. This is true even in our main retriever breeds now, but is especially pronounced in spaniels. Working strain spaniels have been bred for very high energy levels and the mental toughness required to work in harsh cover, as well as trainability. This makes them a rather interesting mixture of brains, energy, speed, and independence. Many gundog breeds can and do make great pets, especially if raised from puppyhood following a few important rules. To get the most from your pet gundog, and to have a truly satisfying relationship with him, it is important to take his gundog instincts into account. Field bred spaniels tend to need quite careful management outdoors, including interactive exercise. And are prone to developing control issues when allowed to run about freely during exercise in rural areas. The best way to avoid the kinds of control issues that many pet gundog owners struggle with, is through managed exercise, and a programme of training specifically designed for gundog breeds. 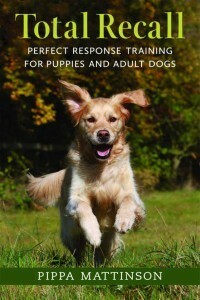 You can find out more about managed exercise and how it can benefit your dog in my book Total Recall. And you can join the Gundog Club’s training scheme to learn how to harness and control your dog’s powerful instincts. One of the aims of the Gundog Club’s Graded Training Scheme is to help people enjoy their gun dogs, through a programme of training designed specifically to suit their dog’s natural abilities. Gundog style training harnesses the instincts and drives of your pet gundog. 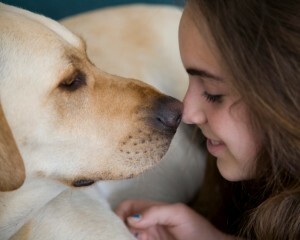 It stimulates his brain, keeps his body fit, and gives you control over your dog. Working through the first four grades in the scheme is a great way to get your dog fit, happy and well trained. Gundogs are highly intelligent dogs with a huge capacity for fun and exercise. Following a structured system of gundog style training with your pet gundog will keep him out of mischief, and help you develop a great bond together. You can start right here today: Gundog Training: where do I start. If you are getting into difficulties with recalling and controlling your pet gundog outdoors, Total Recall will help you. It is a recall training programme suitable both for puppies and for older dogs that have got into bad habits. It is an Amazon bestseller and is available worldwide. As you know Pippa , Sam is from pure working stock, many FTC in his lineage . I can so appreciate this article , I do not work Sam, but he thinks he is working when we have our training sessions . I see him change from a pet to a working dog the moment he sees his dummy and yet, in the home he is purely a pet member of family . Apart from keeping him fit and slim , the training employs his brain, occupies his mind to do what he was bred to do and creates the most wonderful bond between us .